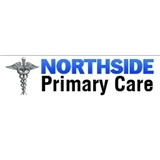 Northside Primary Care (Lawrenceville) - Book Appointment Online! Our Staff is here to answer all of the questions you may have in regards to your health, insurance coverage, and new and established patient appointments. We are able to schedule same day appointments in most cases. as well as walk-ins based on availability. Our goal is to make sure you have the best health care experience possible. At Northside Primary Care you are not just a number. Your experience will not be rushed. We spend time with you to make sure you leave more informed and in a better position than when you walked in. dr syed and her whole staff are the best. i wouldn't go anywhere else.